After a huge meal at City Tavern, we walked around Old City Philly until we had room for dessert. 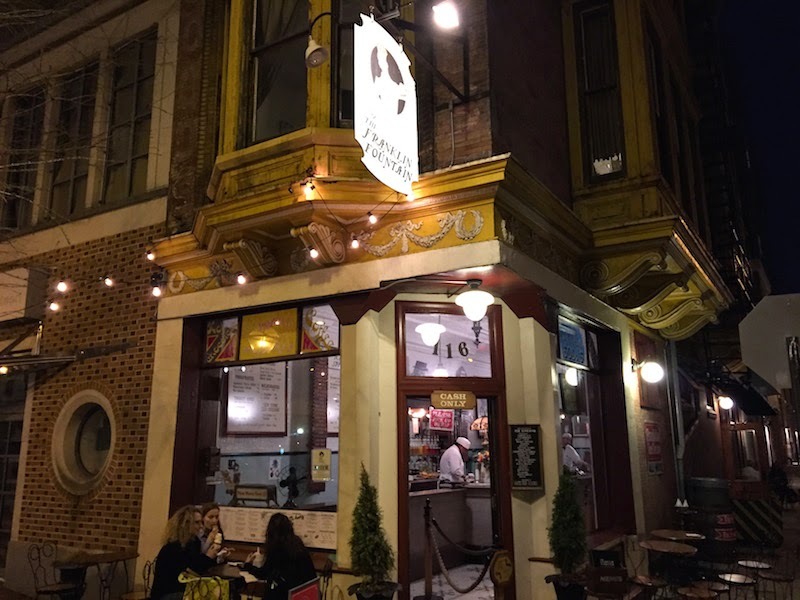 Read my full review of the Mt. 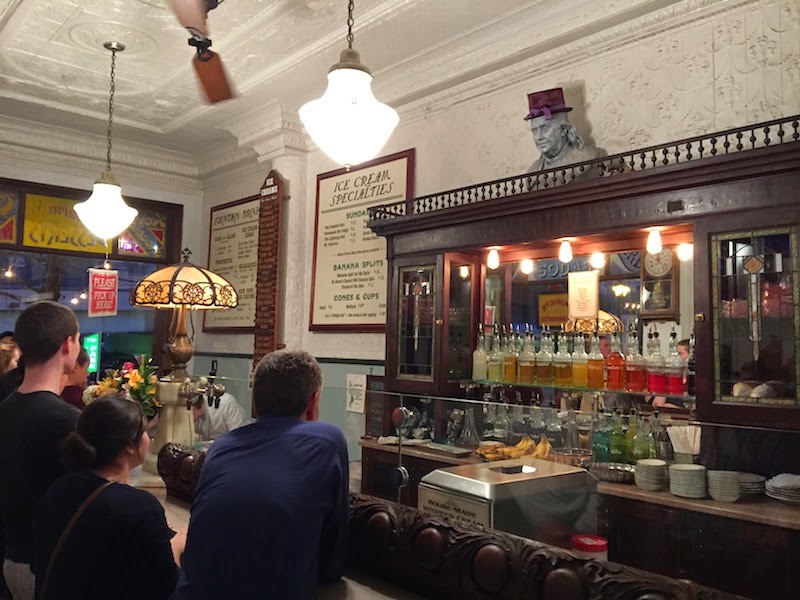 Vesuvius Ice Cream Sundae at Franklin Fountain in Philadelphia's Old City after the break. Franklin Fountain has been seen on many TV foodie shows, including Best Thing I Ever Ate, Unwrapped and Road Tasted. And for good reason: their homemade ice cream is delicious, and the sundae combinations really work. My daughter and I shared a Mt. Vesuvius sundae, which is vanilla bean ice cream, chocolate ice cream, powdered malt, fudge, and plenty of whipped cream. Wonderful! It's hardly been open ten years, but it feels like stepping back over a hundred years with the long soda fountain and collection of candies for sale. 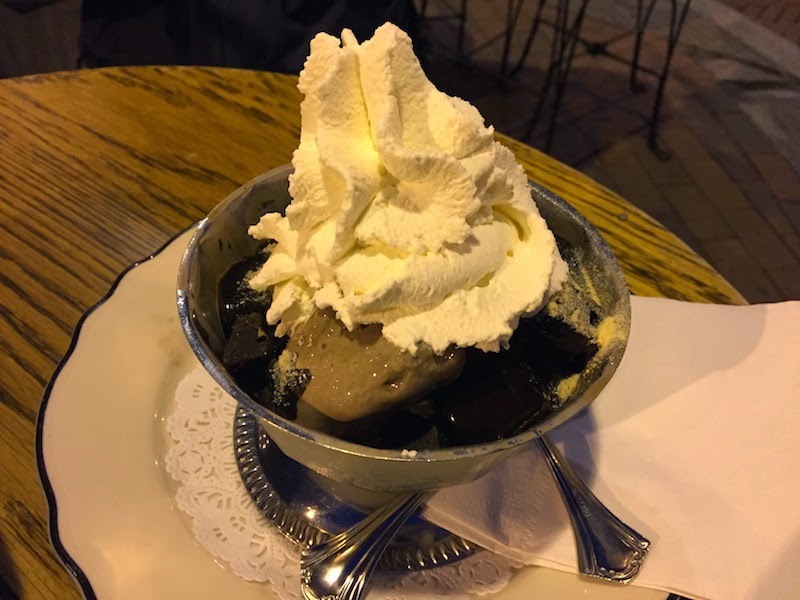 Order your sundae, watch it made, then take it out to the sidewalk to grab a table and enjoy it along with the lights of the Old City. 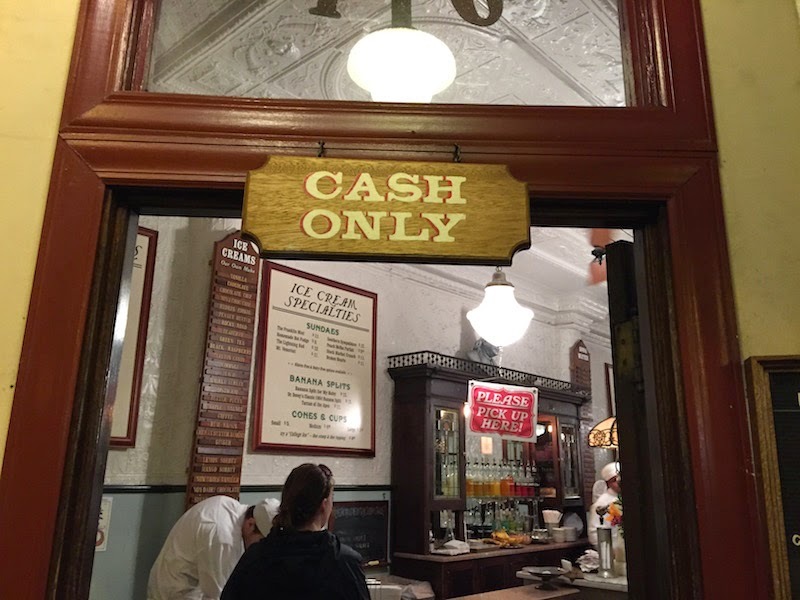 TIP: It's cash only at Franklin Fountain.